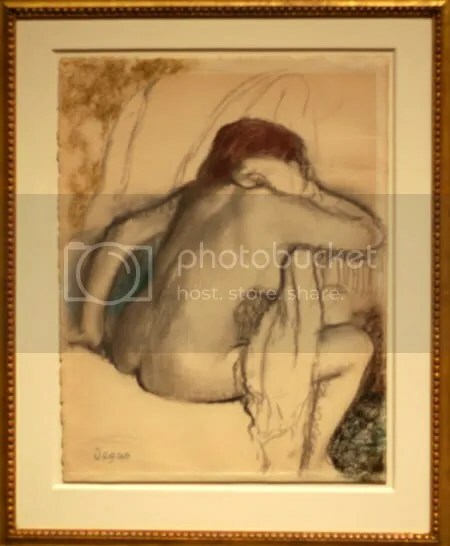 If you get a chance to see the works of the French Impressionist Edgar Degas, traipse over. 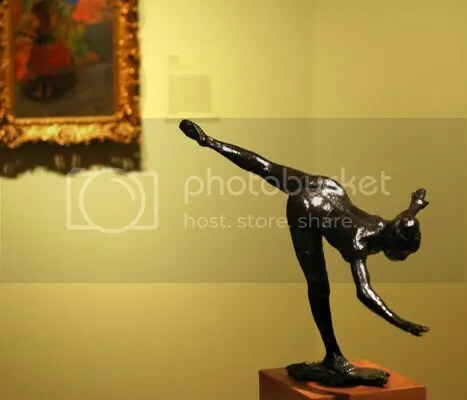 That&apos;s what we did recently, at the Degas at Harvard Exhibition. This was only the second, one-man show for Degas. Coincidentally, the first one was also here in 1911, when he was still alive. Since then the collection has mushroomed. His study of ballet dancers is well know and I looked forward to seeing them. 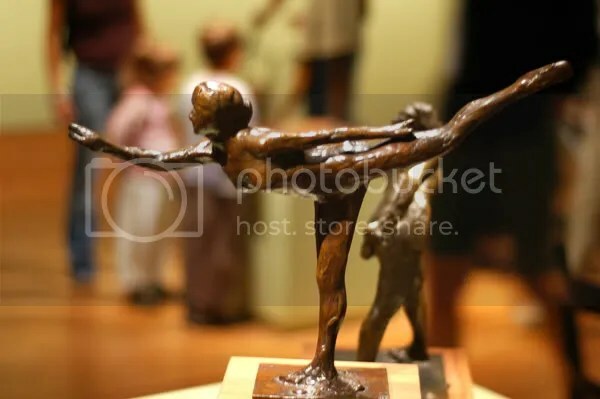 On previous visits to the exhibit halls, I had seen the bronzes Arabesque(s) and Little Dancer. 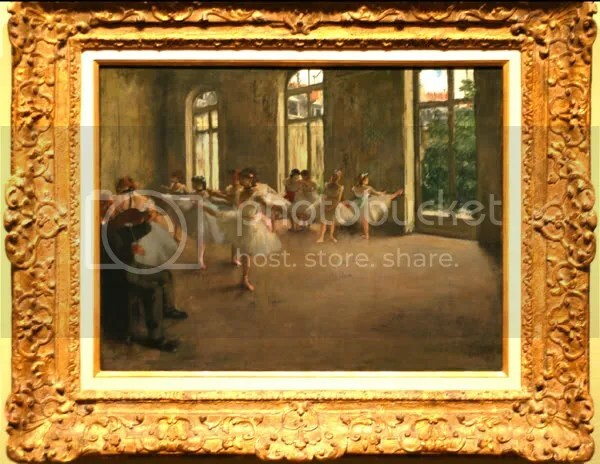 Seeing the above painting “The Rehearsal” here was a complete surprise! The “Women in the bath” collection was intriguing. While I had read about, and even seen a few of this series, I never expected such a thorough and well studied subject. Superbly executed. This exhibition was an opportunity to see Harvard’s entire Degas Collection. Many of the works are considered too delicate and never previously exhibited to the public. 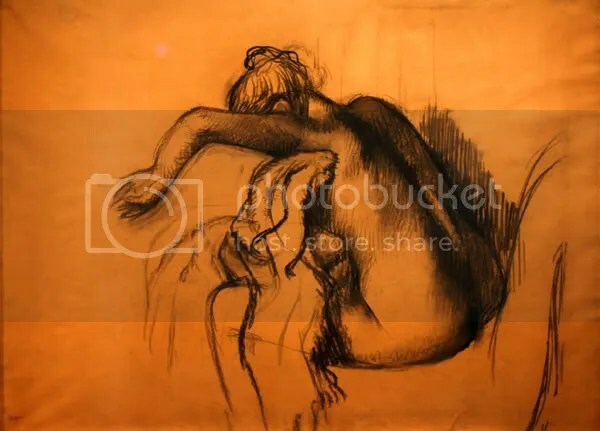 For many years I browsed the WebMuseum here: Degas at WebMuseum. Now I finally got a chance to see these works up close, on canvas, and even admire the seeming cacophony of brush-strokes coming together to form a brilliant masterpiece. Enjoy a few of the pics I took. There were several bronzes, including these two “Grand Arabesque(s).” The dancers appear perfectly balanced in such artistic poses. I have a pic of this bronze with the wall as a backdrop (as in above), but I liked this one better. Amidst the bustling background, the dancer too seems to come alive. 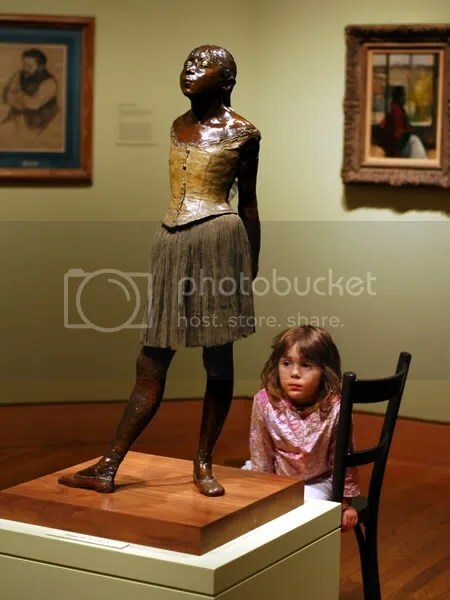 Little Dancer, Aged Fourteen – Degas never saw this bronze sculpture. When he died in 1917, its wax mold was found in his studio and later cast. Despite the innocent look of the 14 year old dancer, the ending is pretty tragic. Apparently her parents sold her into prostitution soon after she posed for this sculpture. The little girl in pink seemed bored, while her parents enjoyed the sights. The Women in the Bath Collection. The women here weren&apos;t the nubile dancers, but seemingly middle-aged. There is a certain wholesomeness to his drawings and the freshness of his take. The poses also titillate less and appear studied more. There is nothing wishy-washy about his lines here. 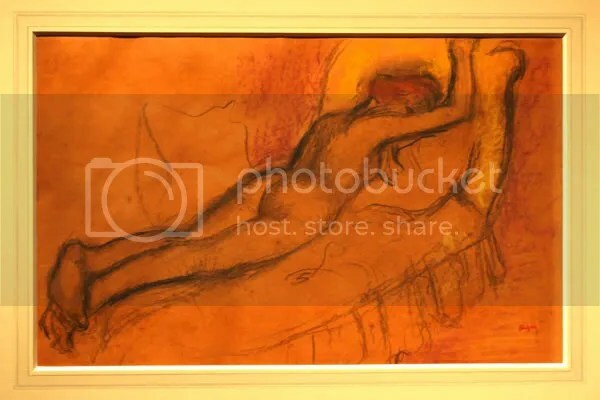 I found this shy, lazing model on red toned parchment very sensuous. Notice how he has left unfinished the furnishings, ensuring our eyes linger longer on the model. Bold And so they do. I reread it again after many years – and now have this urge to visit the museum again.